Somabar, a Los Angeles, California-based startup, is hoping to make it easier and less expensive for foodservice establishments to offer cocktail programs. It’s launching what it says is the world’s first robot bartender created for beer and wine bars and restaurants, starting with its public launch at select Gelson’s Wine Bars. Somabar is operational at Gelson’s Wine Bar at Westfield Century City Mall as well as its Manhattan Beach and Silver Lake locations. 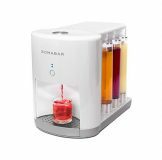 After three years of development, Somabar announced the commercial debut of its robot bartender at the 2018 Western Foodservice & Hospitality Expo, where it was awarded the show’s highest honor, Best Product of the Year. 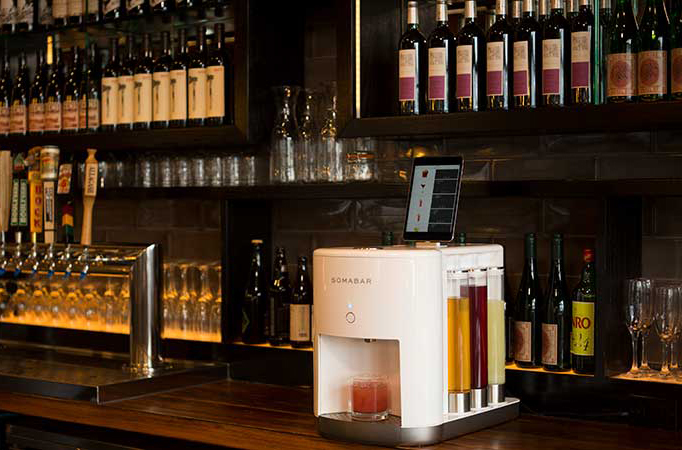 Somabar’s mission statement is to help restaurants with wine and beer licensees (called a “type 41” liquor license in California) navigate this bureaucracy with its robot bartender. Somabar specializes in beer and wine licensed restaurants that typically do not have a bartender nor a full liquor license. “The beauty of the wine and beer license lies in the fact that they are unrestricted in number by the California Department of Alcoholic Beverage Control, can be issued in a matter of weeks and cost as little as $500,” says the company. And Somabar helps wine bars and restaurants make the leap from serving just beer and wine to serving highly profitable cocktails at minimal effort and cost. Operating under a restaurant’s beer and wine license, Somabar utilizes 24 percent, or lower, ABV low-proof spirits such as agave wine and soju to mirror traditional cocktails like the margarita and cosmopolitan, and uses more than 20 other low-proof varietals to craft practically every other well-known cocktail. Somabar launched at select Gelson’s Wine Bars in December and now is being made available to all Los Angeles area restaurants with “type 41” wine and beer licensing.